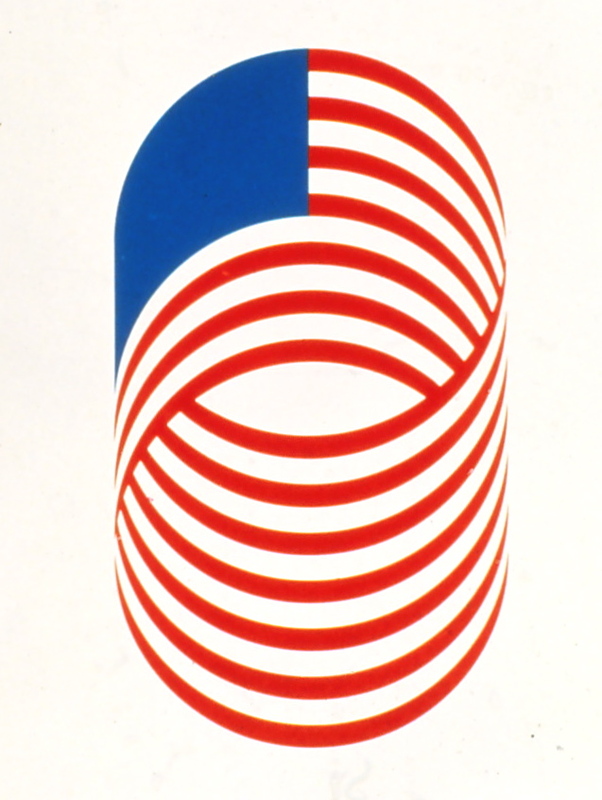 The United States Information Agency organized traveling USA exhibitions as part of the Cultural Exchange Program with the USSR. 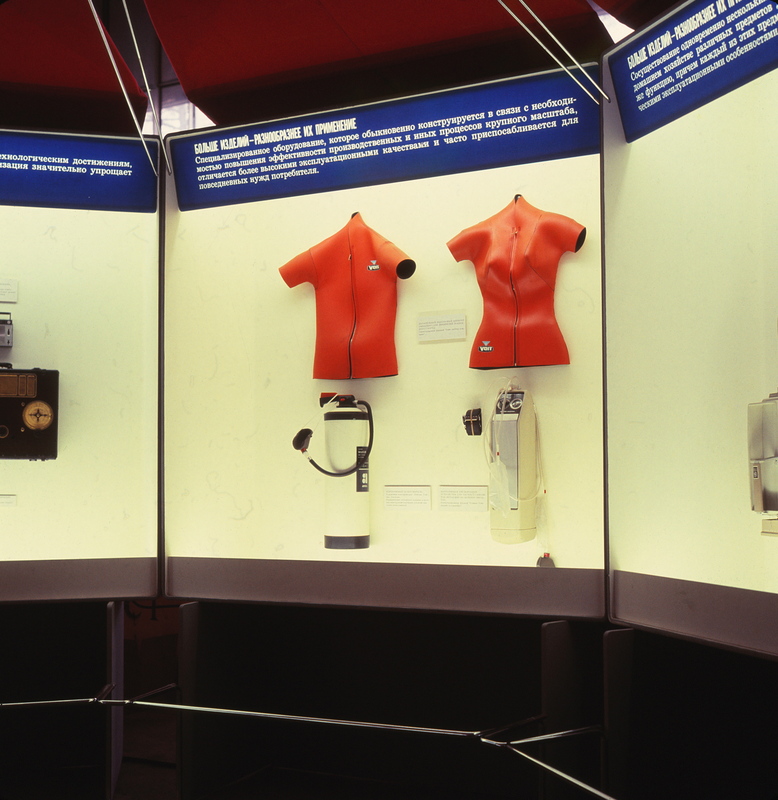 At the height of the cold war, these exhibits toured various member countries of the Soviet block. 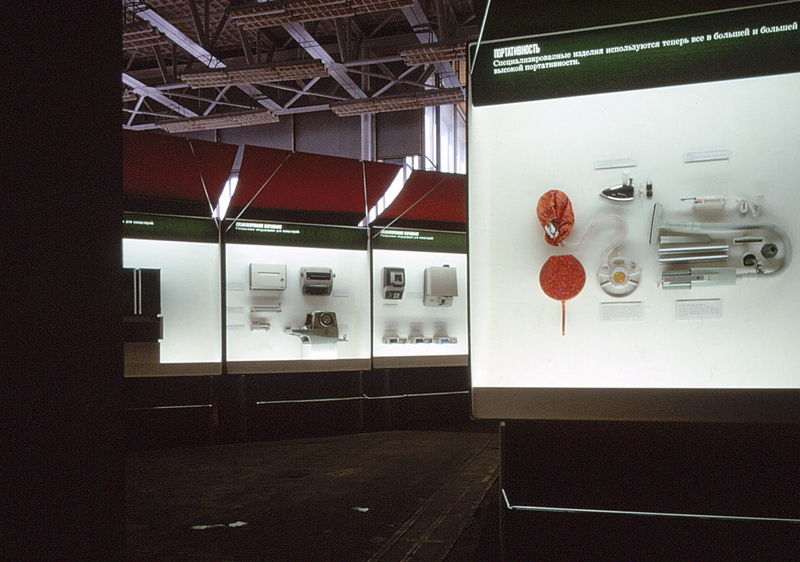 Exhibits were designed by US design firms and fabricated in Europe. 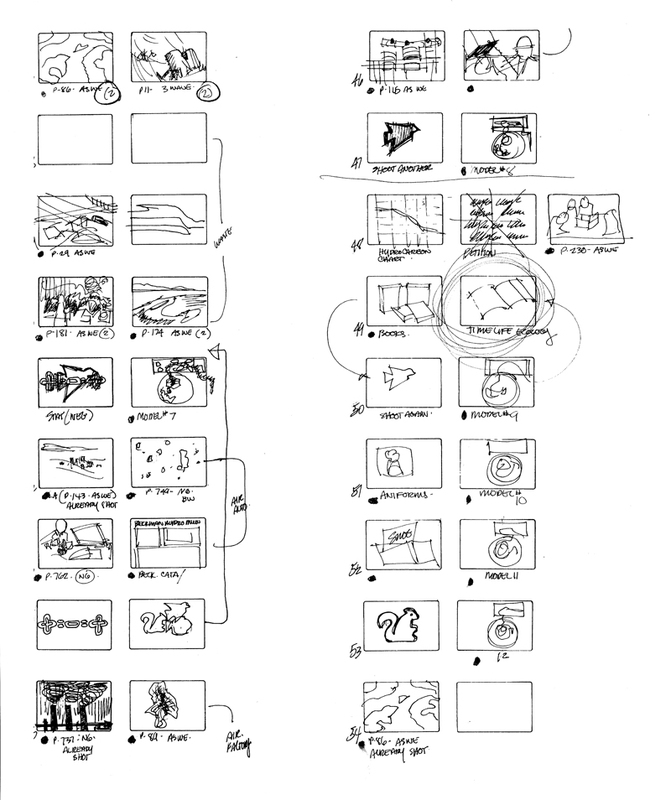 These assignments were highly coveted by US designers. 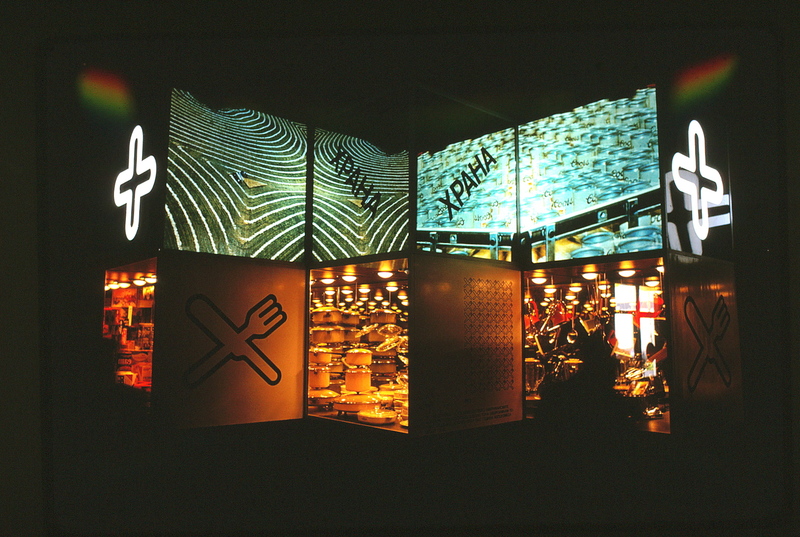 We were selected by the USIA to design and develop a concept for an exhibit based on the “Environment”. We proposed the USIA’s story line for the exhibit be revised. 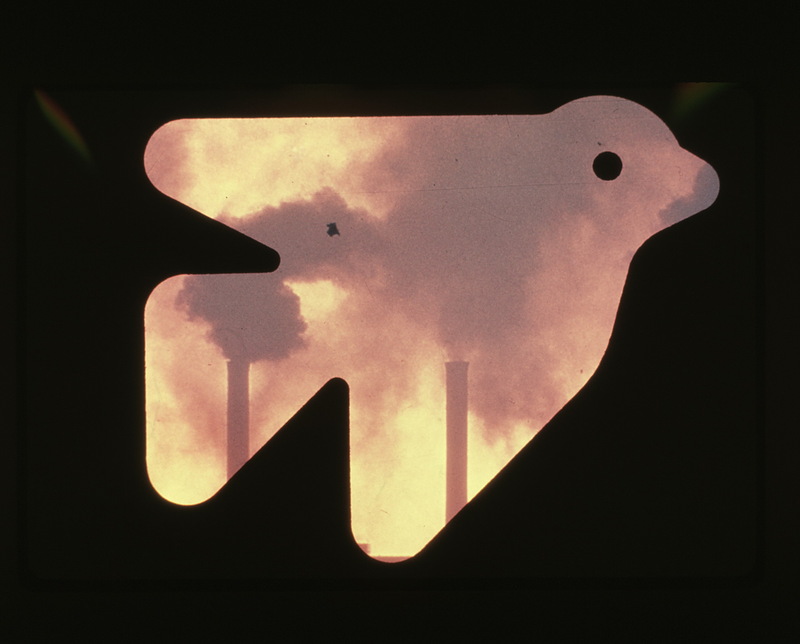 Based on our research and referencing Rachael Carlson’s “Silent Spring”, we focused on developing a new storyline showing environmental related problems and their proposed solutions. 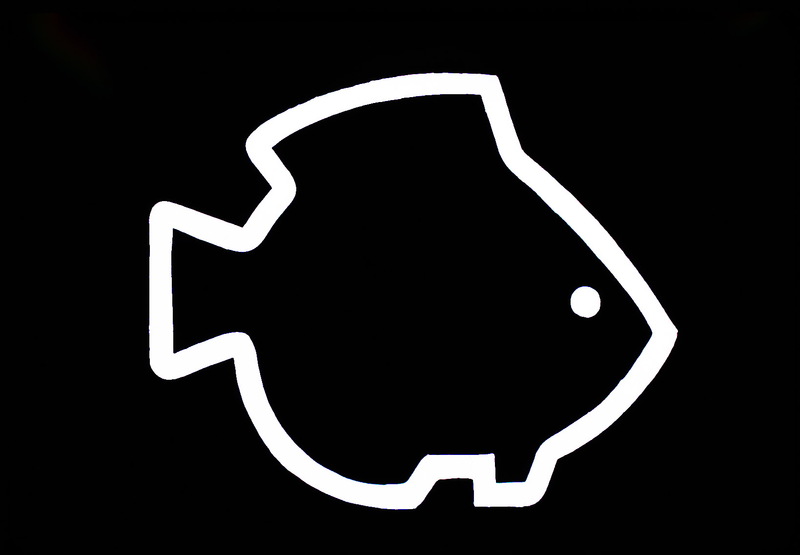 Our proposal to the USIA was based on an "equation." A positive creates a negative, then another positive creates a solution. 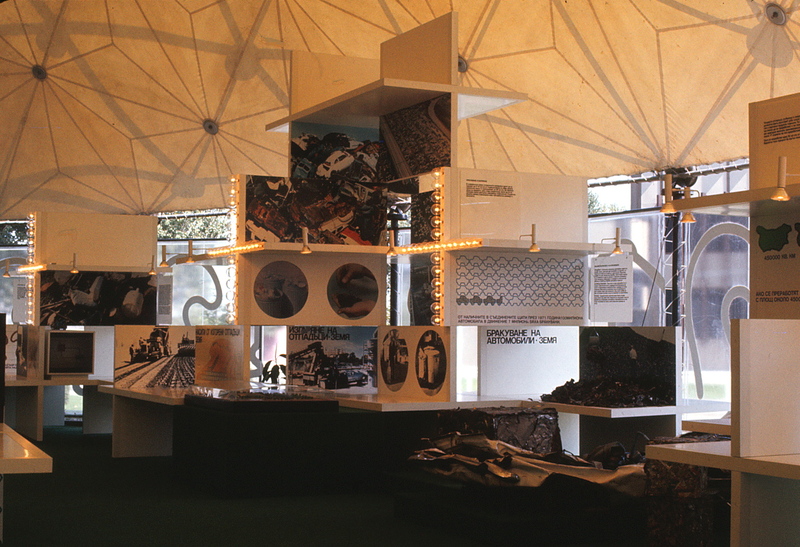 The geodesic dome was USIA property and stored in Vienna. 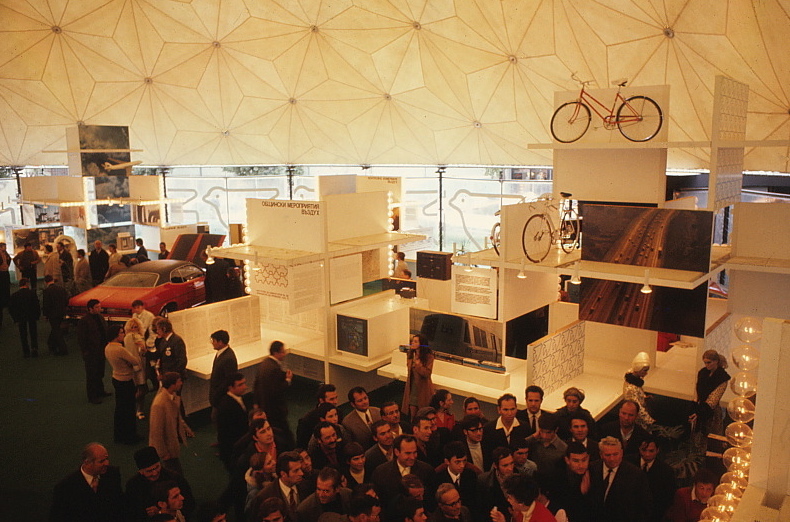 When space was available the dome was shipped and set up on site. 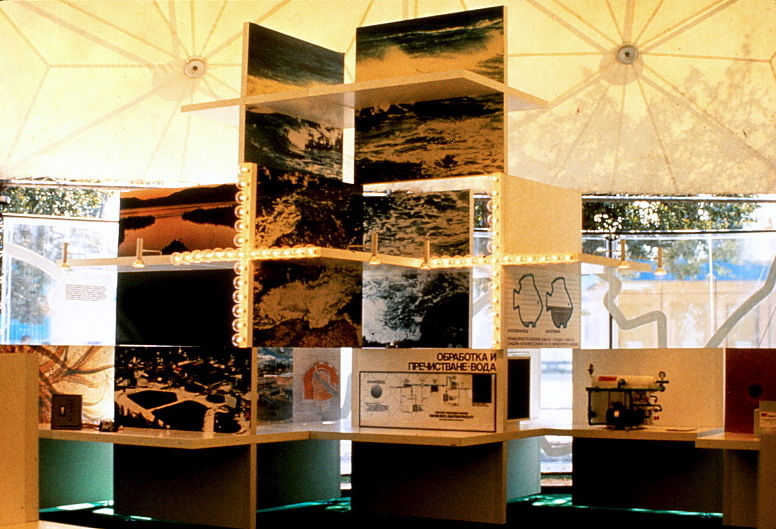 The exhibit’s design had to be flexible in nature to accommodate other sites such as exhibit halls, schools, warehouses, etc.. 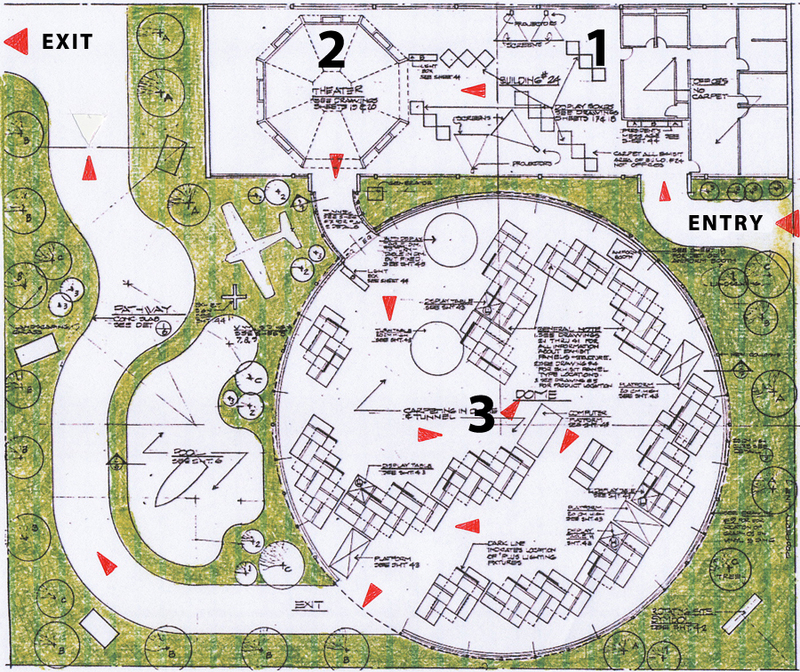 The exhibit plan provided three separate thematic areas, dealing with each of the subjects. 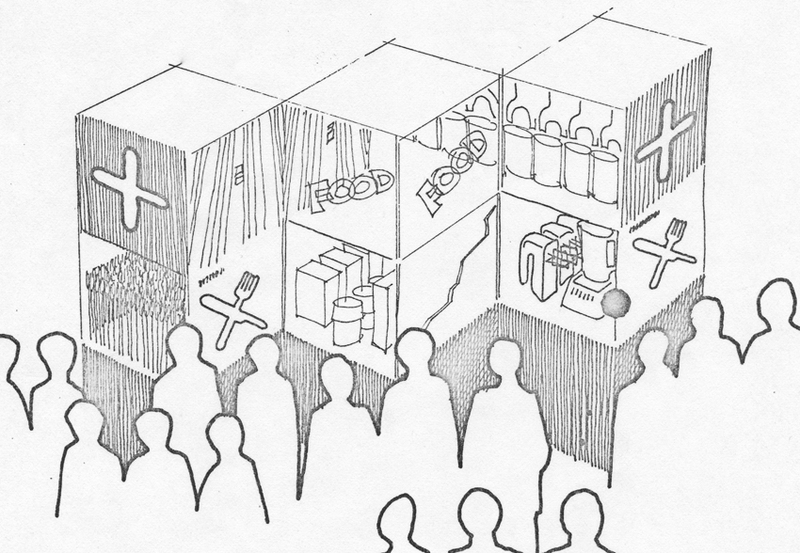 These multiple display units (infinity boxes with transparencies and products) illustrated the positive aspects of life in the US relative to mans basic needs: Food, Clothing, Shelter, Energy and Transportation. 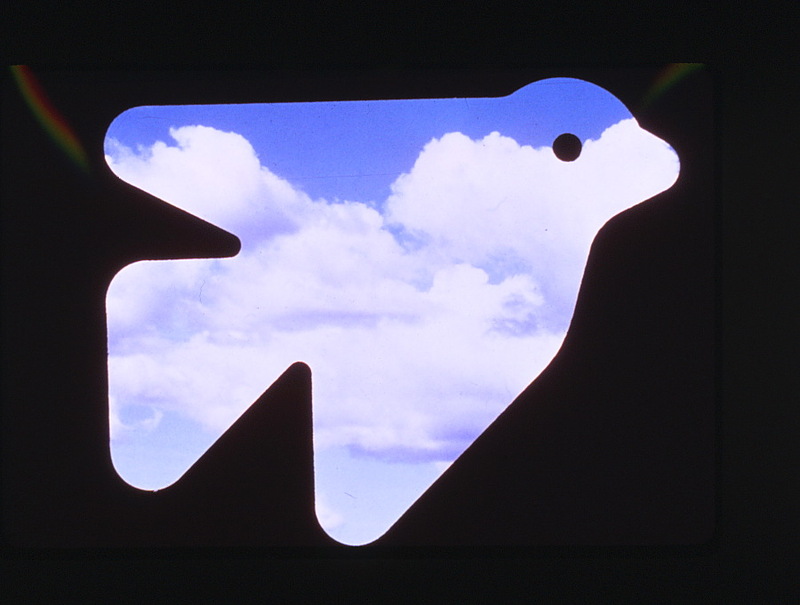 The three screen theater space projected a multi-image presentation dealing with the negative aspects of those advantages in the US relative to polluting the Air, the Land, and the Sea. 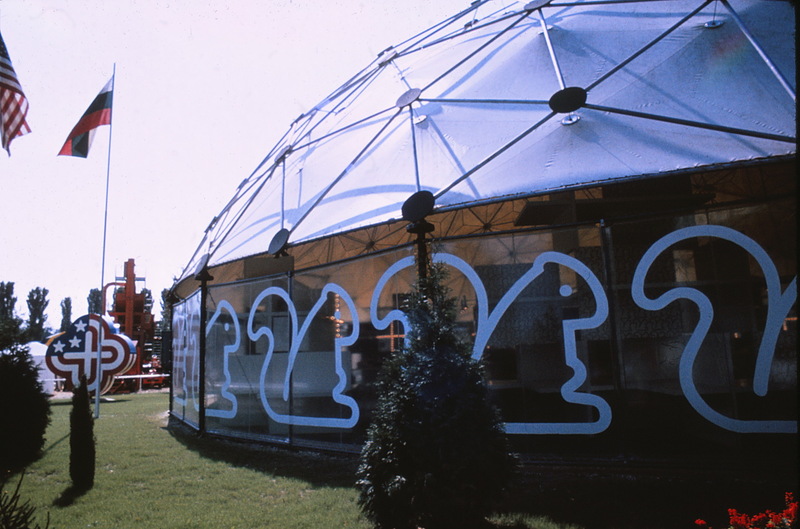 The domed space used a variety of modular “plus” structures to display advances in technology, science, control, maintenance, inspecting and regulating our environment. 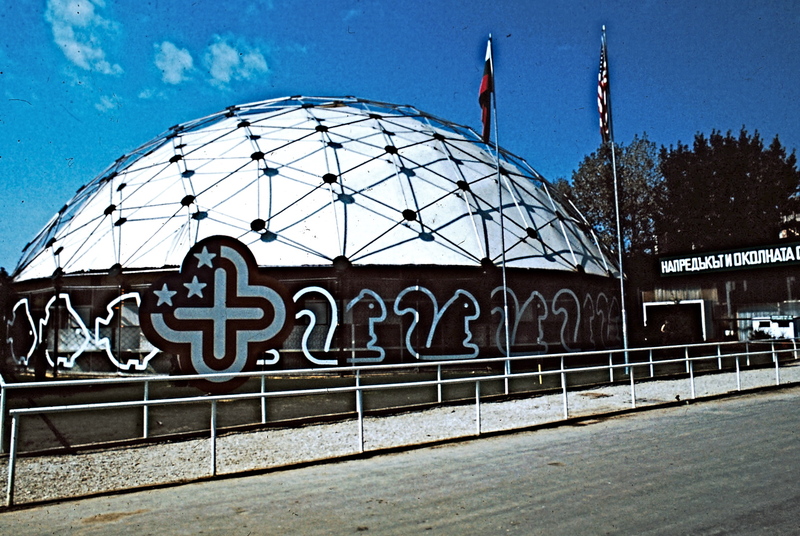 Pictograms of the 5 basic needs were used in illustrations, charts and graphs throughout the exhibit including the domes exterior walls. 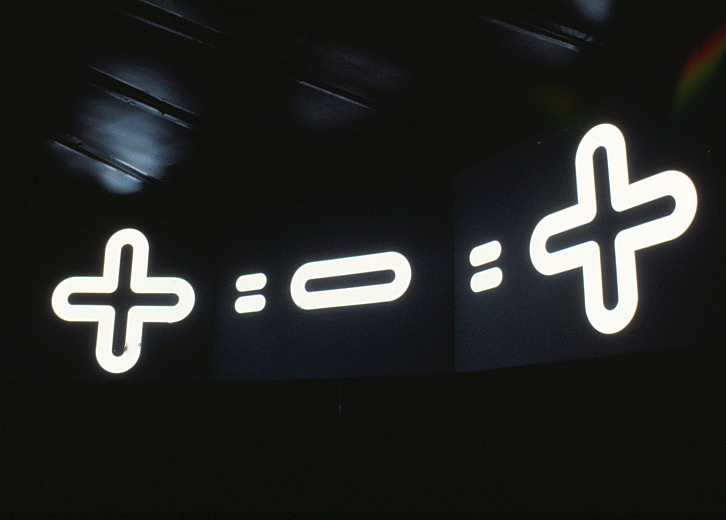 Pictogram masks were used for all images in the theater sequence showing both positive and negative images. 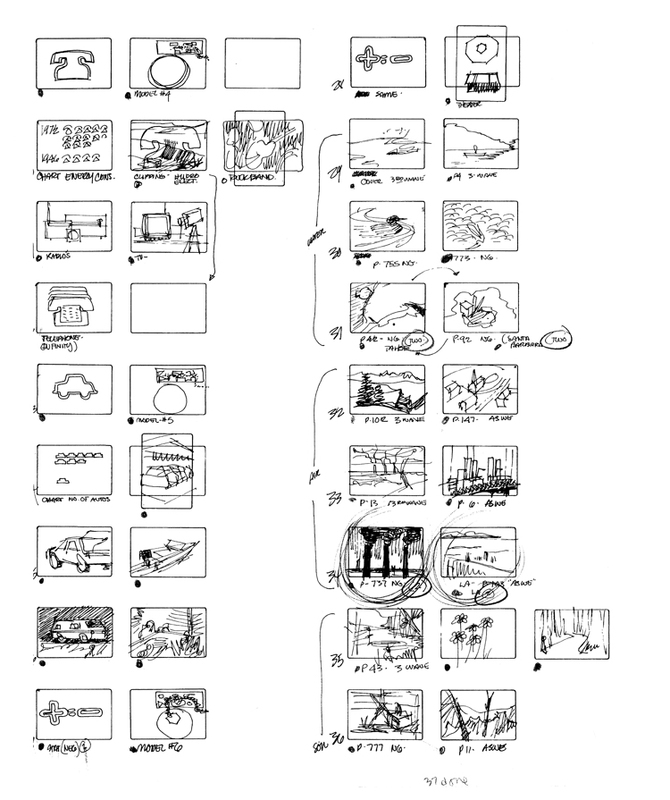 We developed the storyboard and most photography for the 5 minute presentation. 6’ x 6’ panels to create multi-faceted units reaching 18’ height. 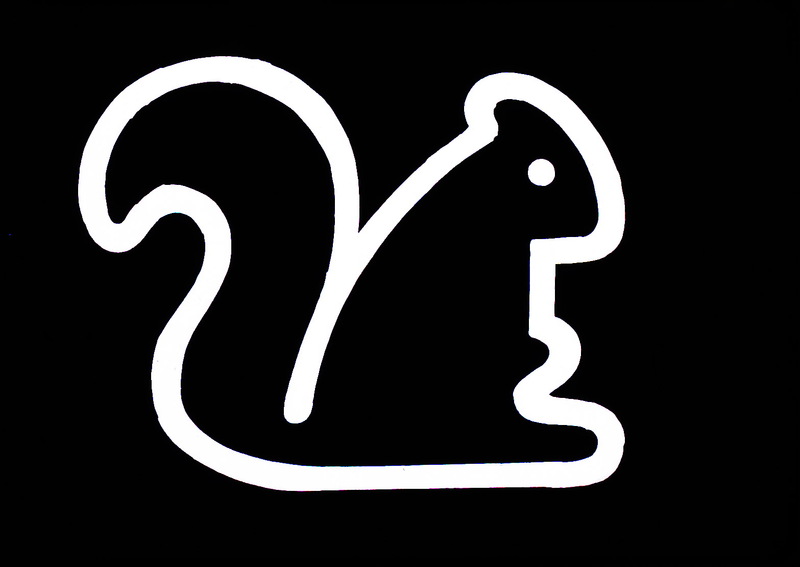 These supported graphics, charts, photo murals, text and a variety of related products. 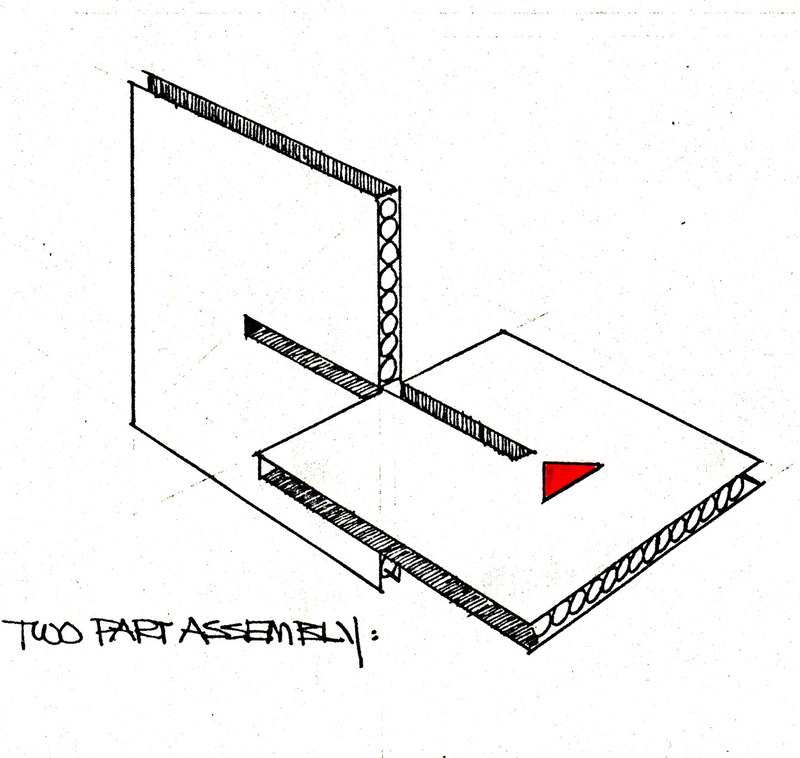 Model and sketch of typical structural component made up of two interlocking panels. 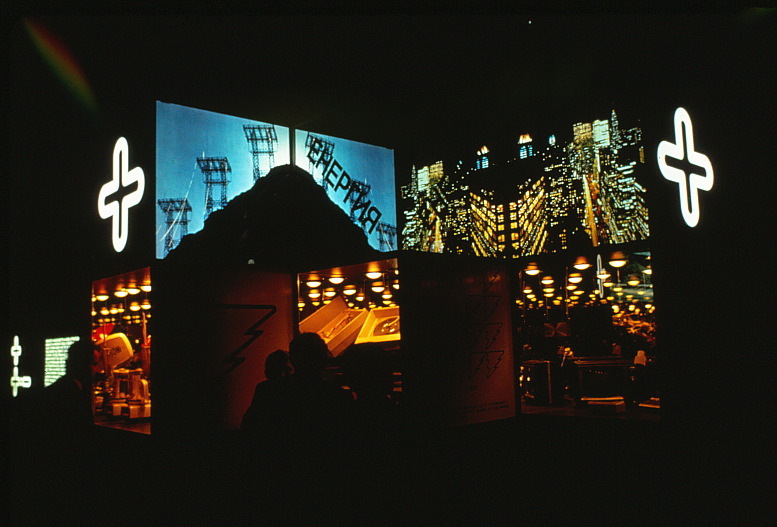 The ends of second tier components were illuminated with clear bulbs to further emphasize the "plus" symbol concept. 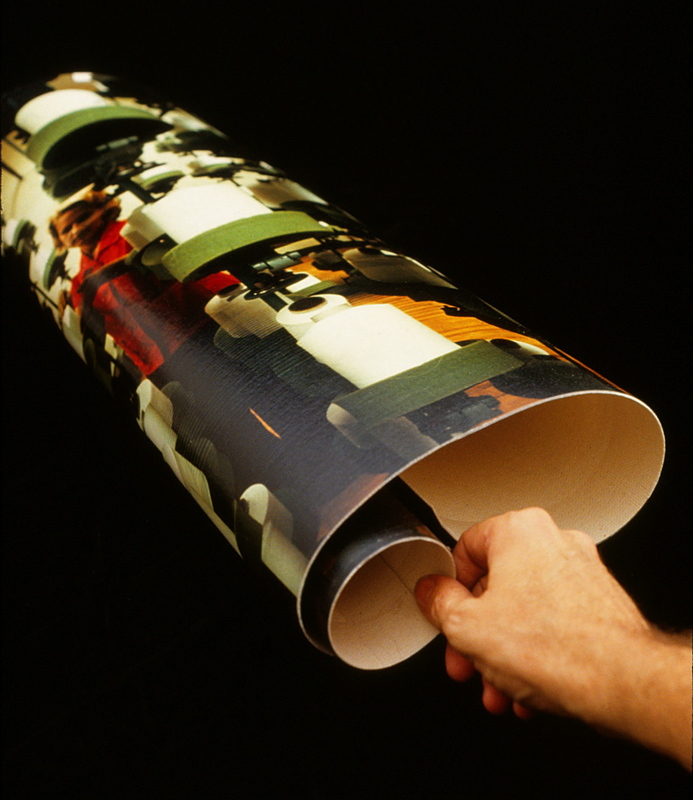 The exhibit poster (24 x 36) reiterated the images used in the screen presentation. 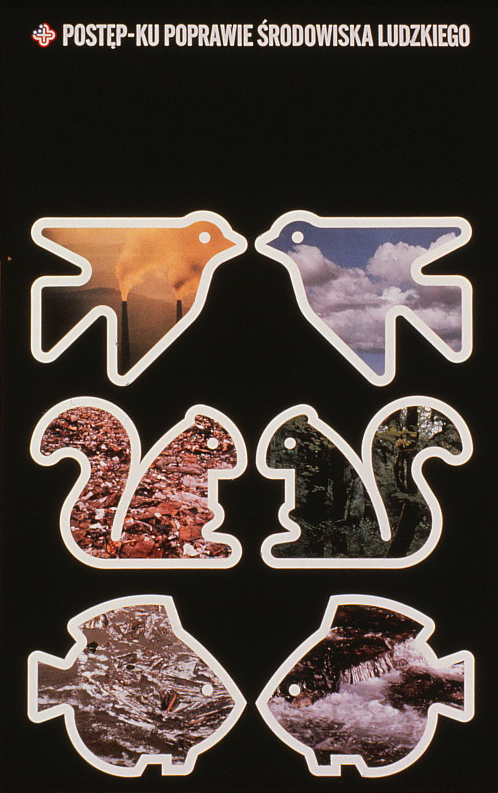 The reverse side provided an 8 page breakdown of the exhibit storyline, “Progress and the Environment” in the native language. Transparent exterior walls surrounding the dome identified the three thematic areas inside the structure, Air, Land and Sea. 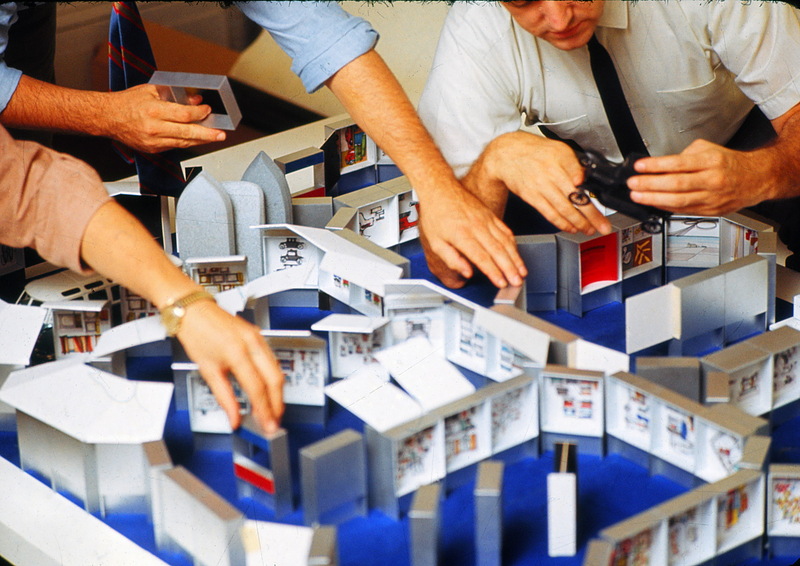 The modular concept allowed for maximum flexibility in layouts both laterally and vertically and offered multiple surfaces for products, photos, charts and graphics. One of the more effective displays dealt with the problem of disposing of 70,000 cars annually in the US. 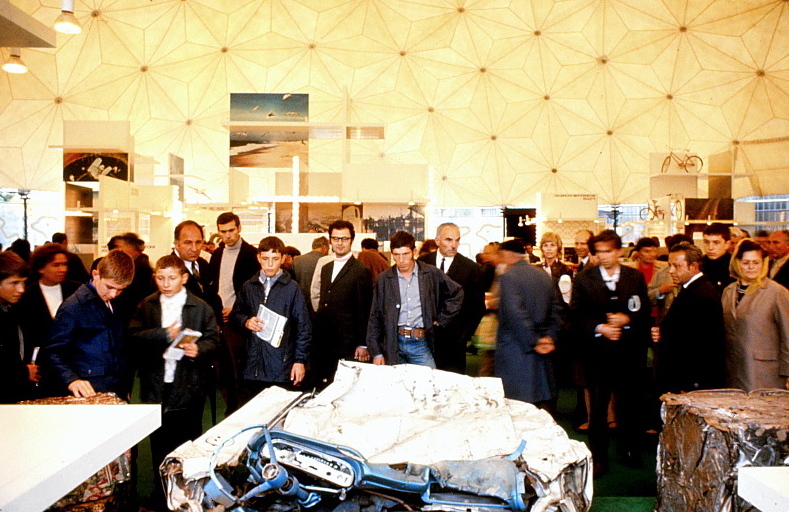 To an audience who doubted that most Americans owned their own cars, this collection of crushed, compacted and shredded automobiles presented a dilemma for the sketpical viewer. 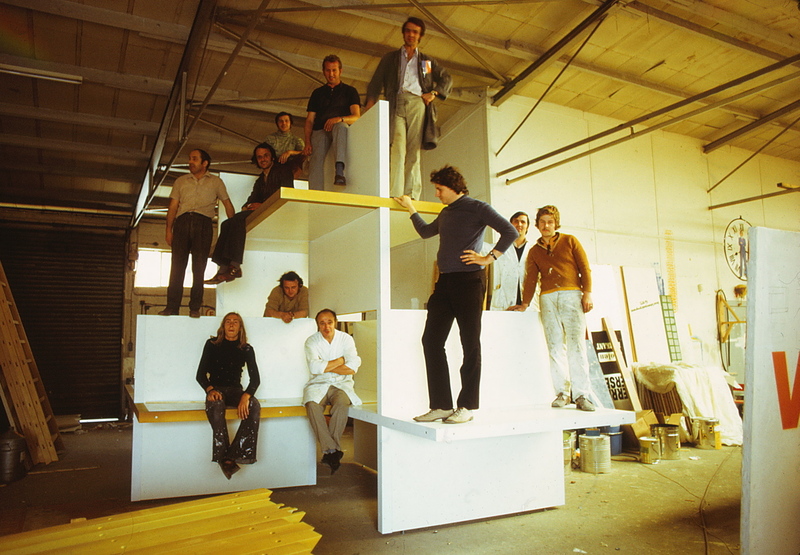 Construction phase of exhibit modules by Carli International Exhibits in Rome, Italy. The opening day preview for Bulgarian dignitaries, including Chairman Zhivkov. Selected by the USIA to design and develop a concept for a traveling exhibition based on the evolution of “TEXTILES” in the USA. 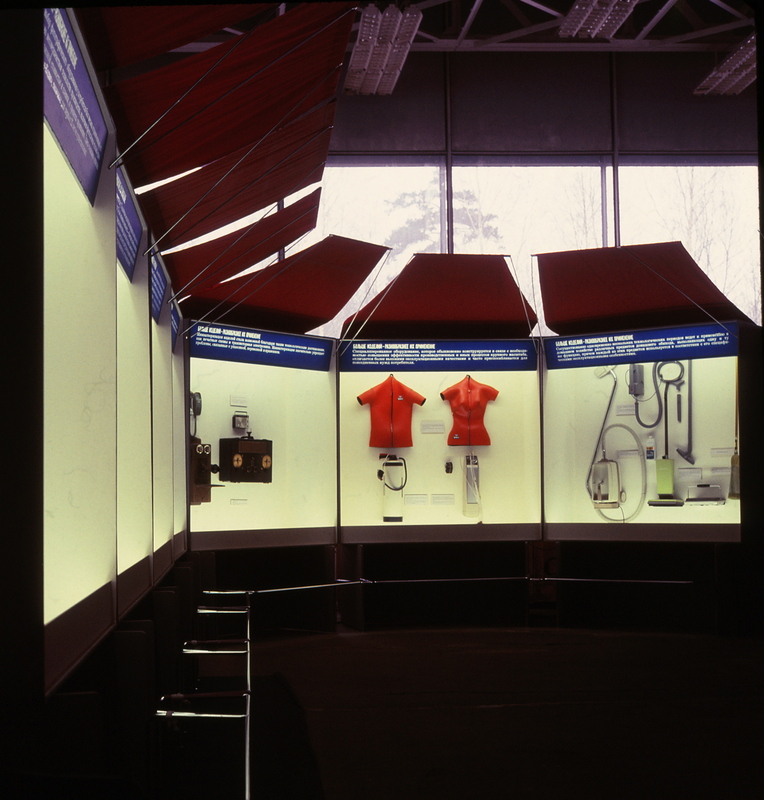 Design focused on the portability of the exhibit and by it’s requirement to be installed by local labor led to a very flexible and versatile solution. 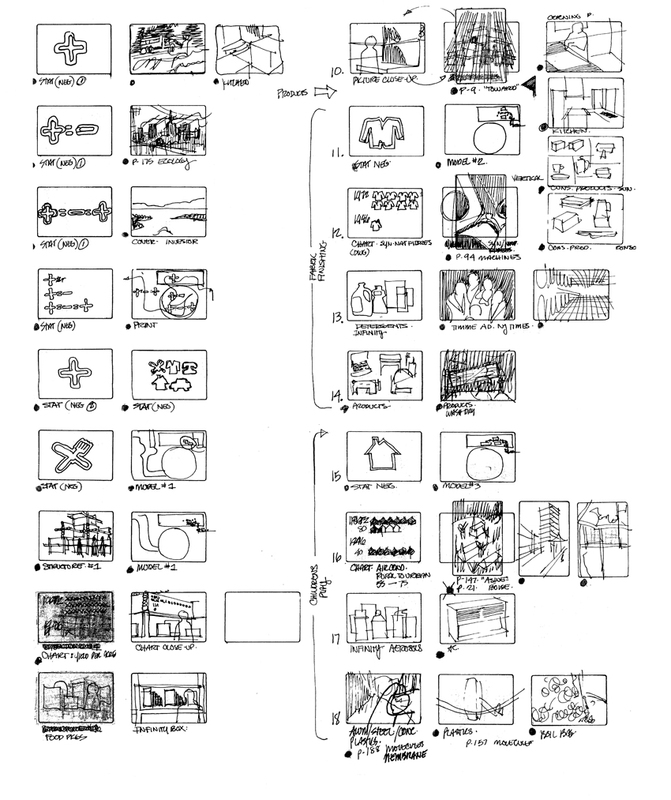 Design schematic for a structural system mindful of factories and the mass production of fabrics. 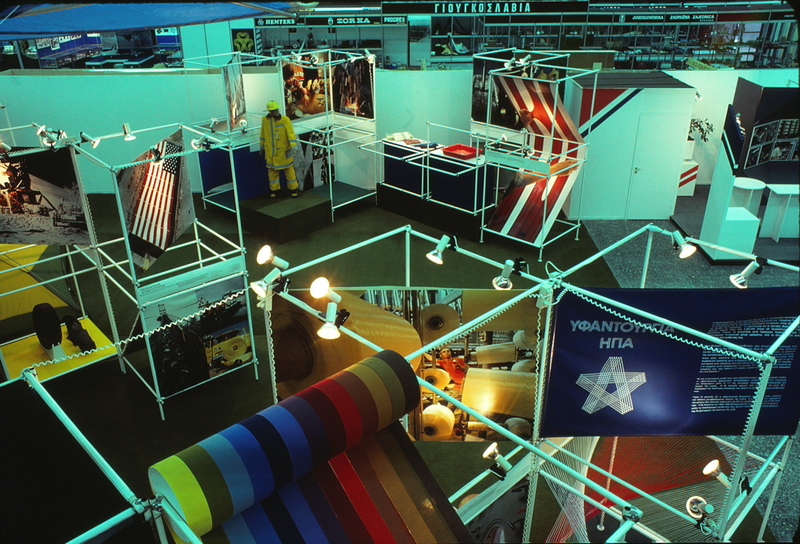 Overview of installation in a low ceilinged hall at the Thessaloniki Trade Fair. Typical exhibit cluster in low ceiling environment. 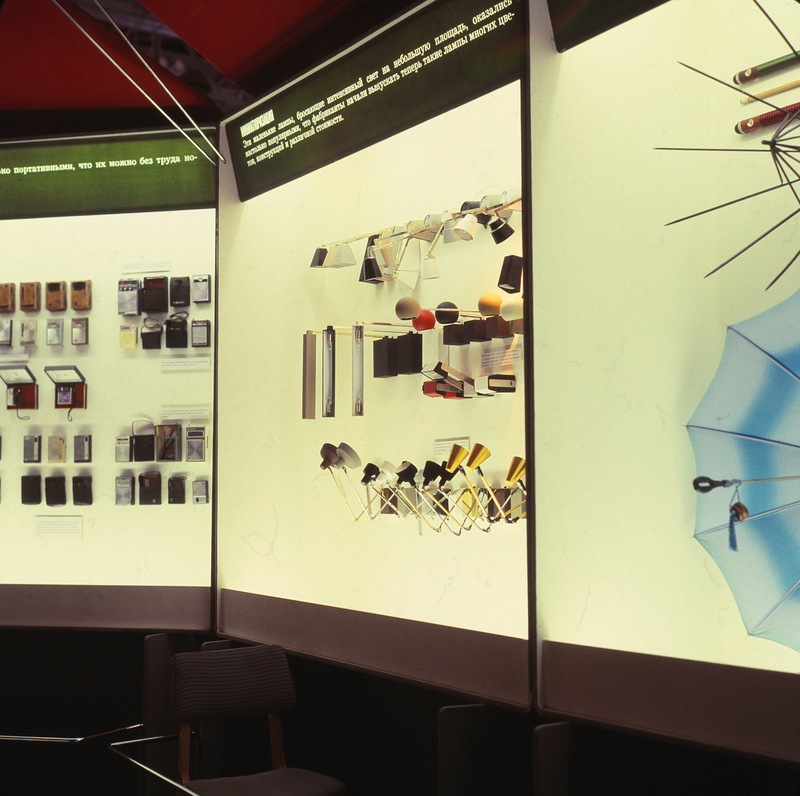 The exhibit storyline focused on man-made materials that have less impact on the environment. A primer on the creation of textiles. Advances in technology and production. 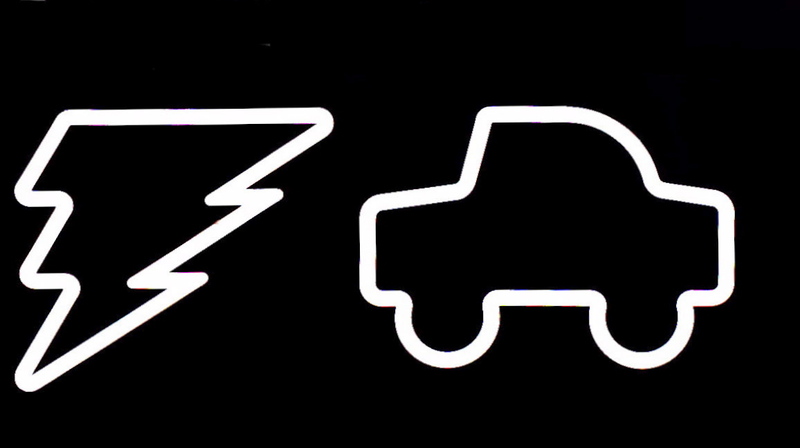 Reliability & endurance of new products. 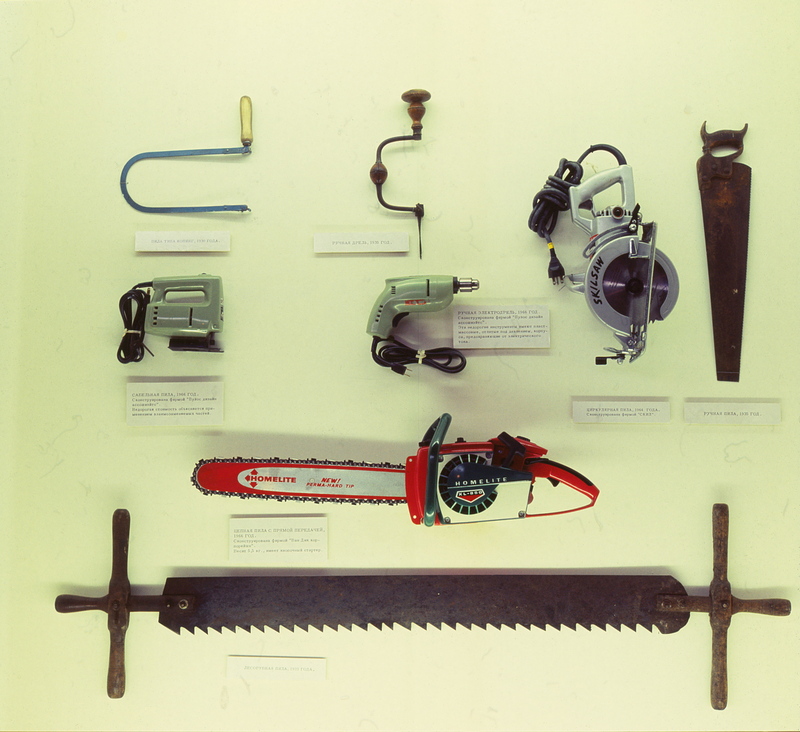 The variety of uses in various products and materials. Unusual applications of these materials. 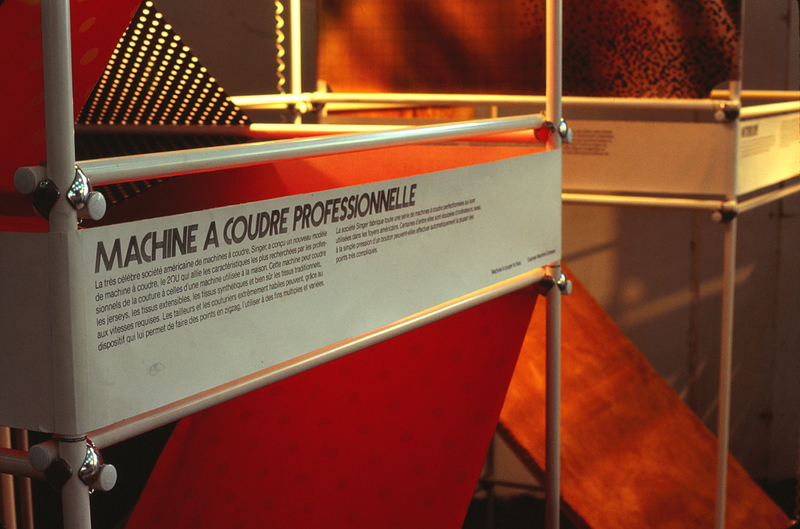 The exhibit itself was made-up of unique methods of applying this new technology. 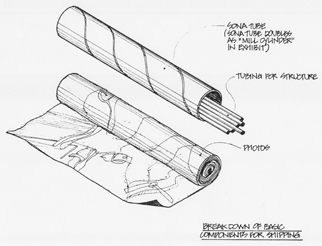 Sketch of standard tubular structure cluster. The exhibit elements (photos, graphics and text) reflected unique uses of fabrics. All photos and graphics were on photo canvas. All text was independent of photos and graphics so that languages could be changed from country to country. 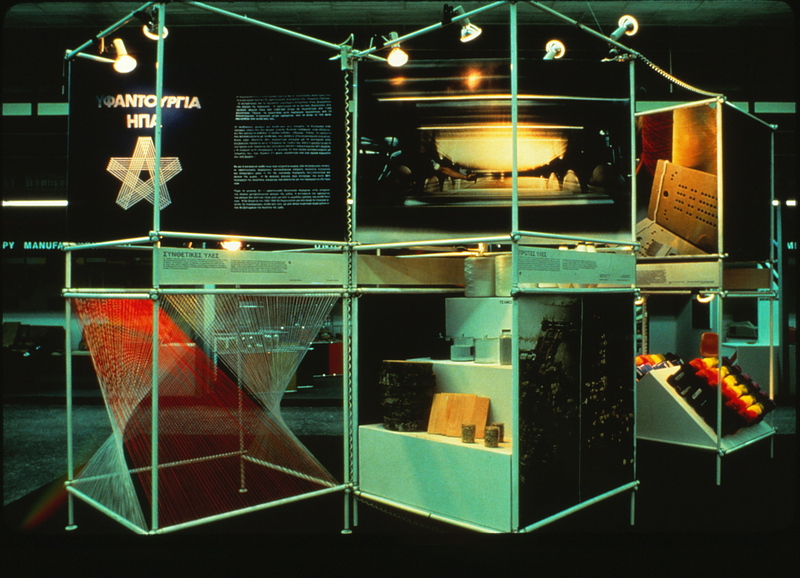 Another unique textile, Velcro, was used to fasten all panels to the exhibit structure. 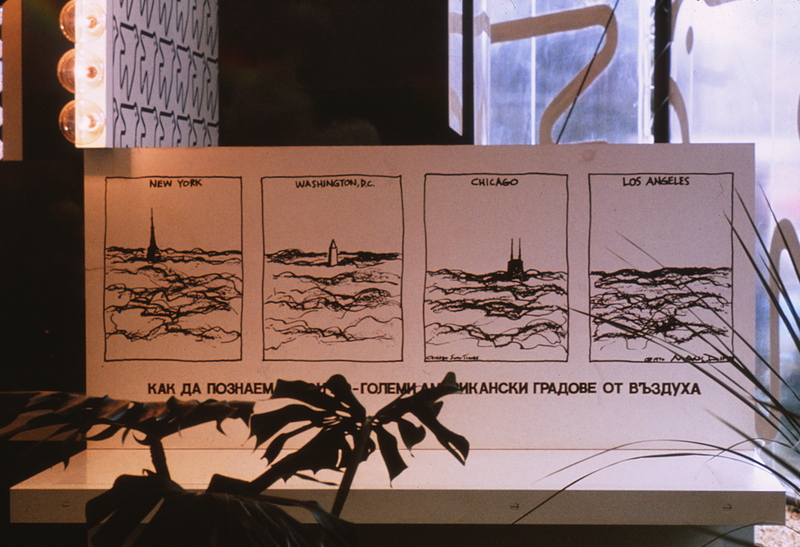 All text panels were done in 5 languages for 5 cities. All panels were attached to the structure with Velcro. 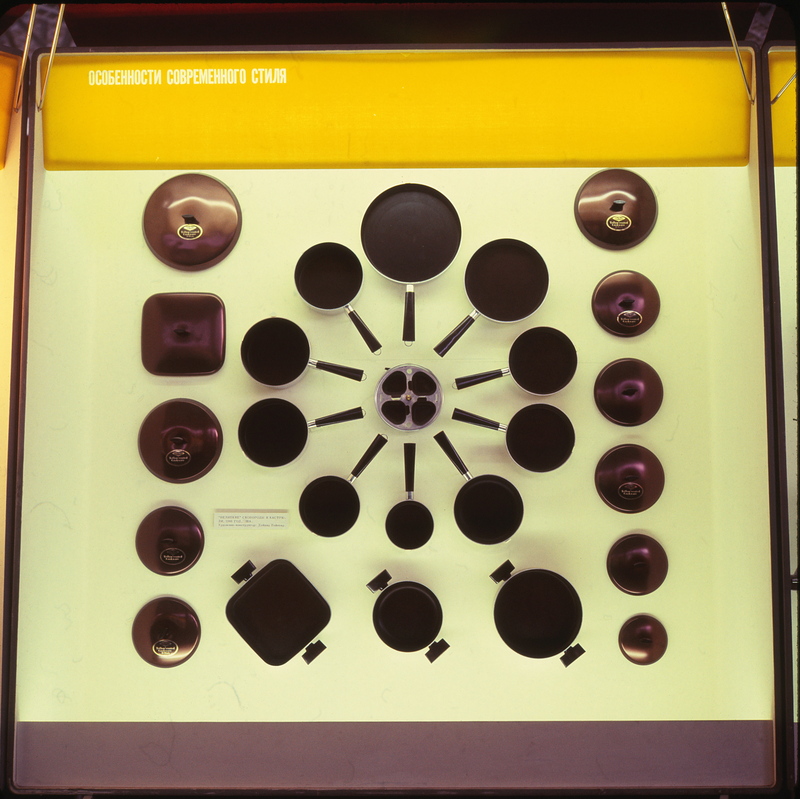 The entire exhibit was designed to be shipped in standard sono-tubes. structural components and shipped at considerable cost savings. 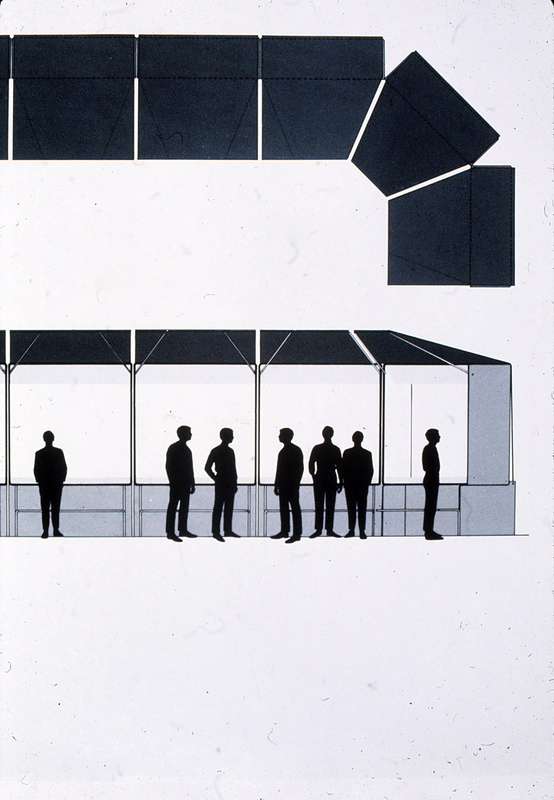 A Handbook was produced for each exhibit installation showing product placement, text, photo and graphic locations including sequential erection instructions for the exhibit structure. 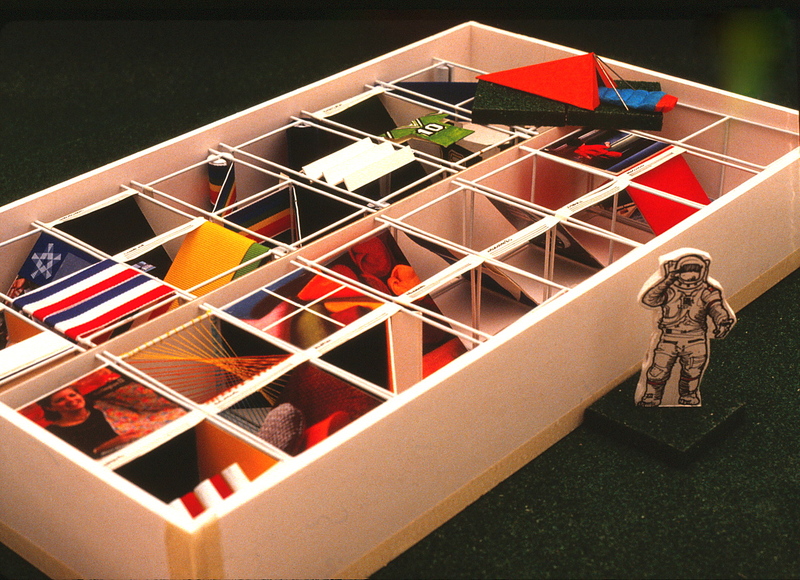 To facilitate each city-to-city installation, a scale model was produced to guide the USIA supervisor in adapting the layout to fit all available spaces. Local non-english speaking labor then had a visual reference to work from. 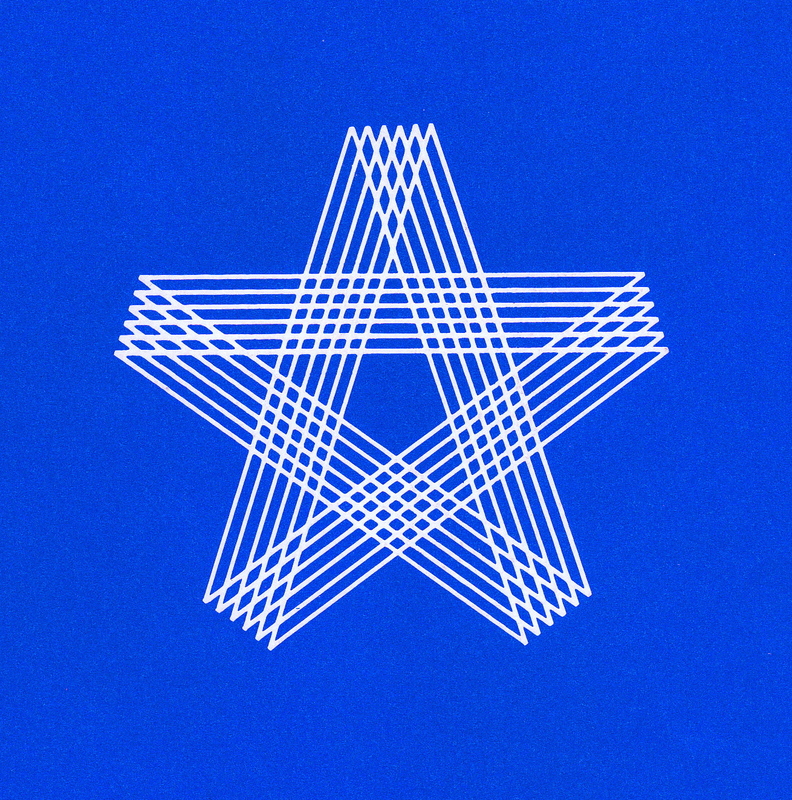 The exhibit SYMBOL based on the concept of a mobius strip. 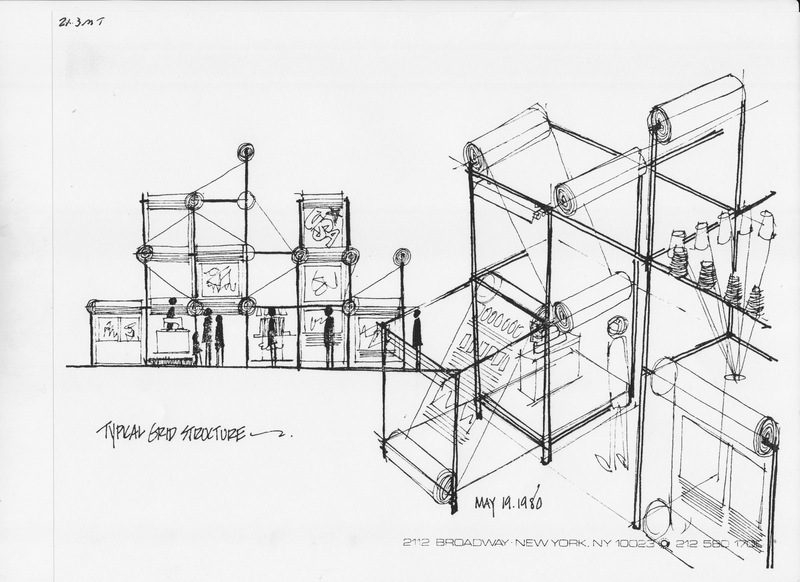 Project designer responsible for the traveling INDUSTRIAL DESIGN - USA exhibit while employed by George Nelson & Co., NYC. 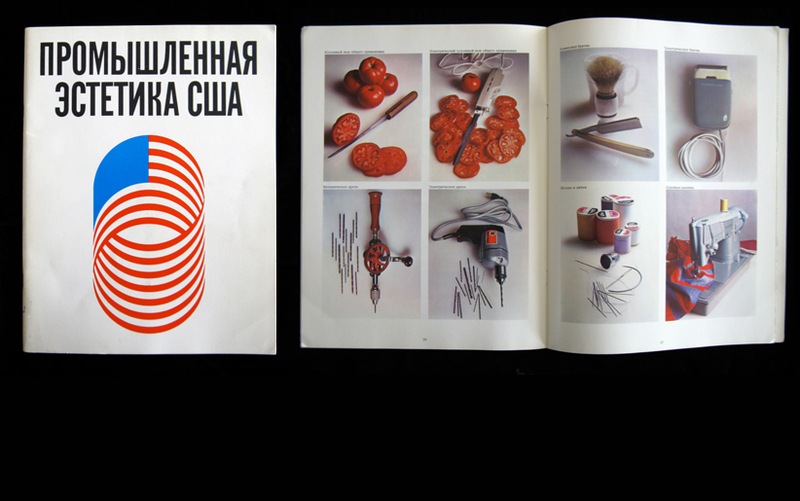 A USIA project, it was part of the Cultural Exchange program with the USSR. 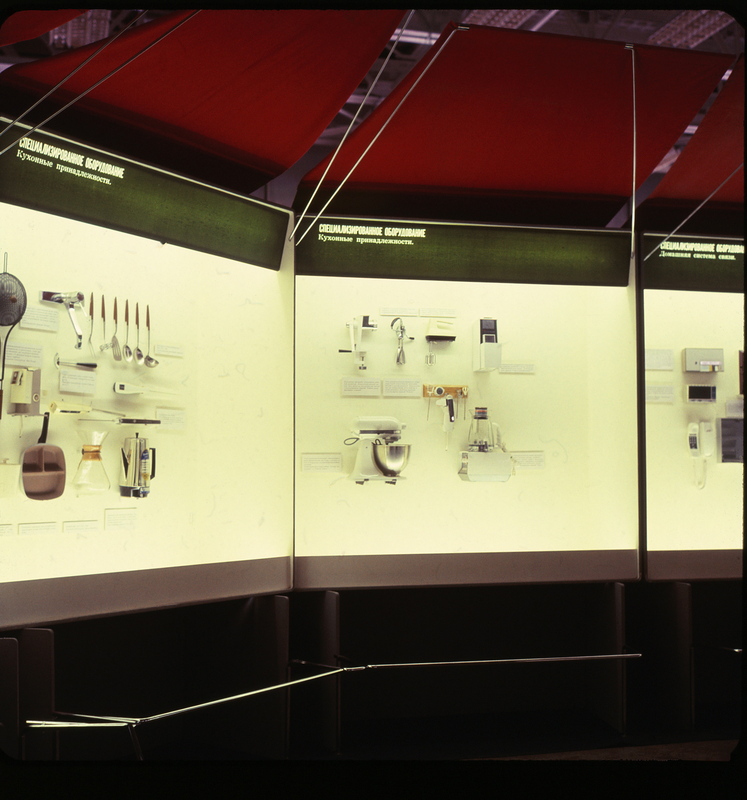 Concentrating on the benefits of good design and the varied field of design, the exhibit featured a variety of consumer products readily available in the US. 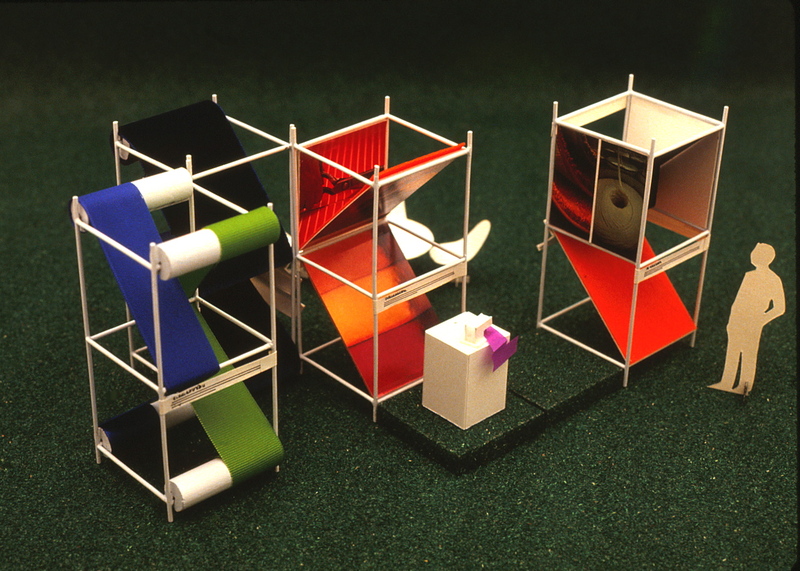 The modular design concept allowed pre-packaged display cases to be easily shipped and set-up in a variety of spaces. 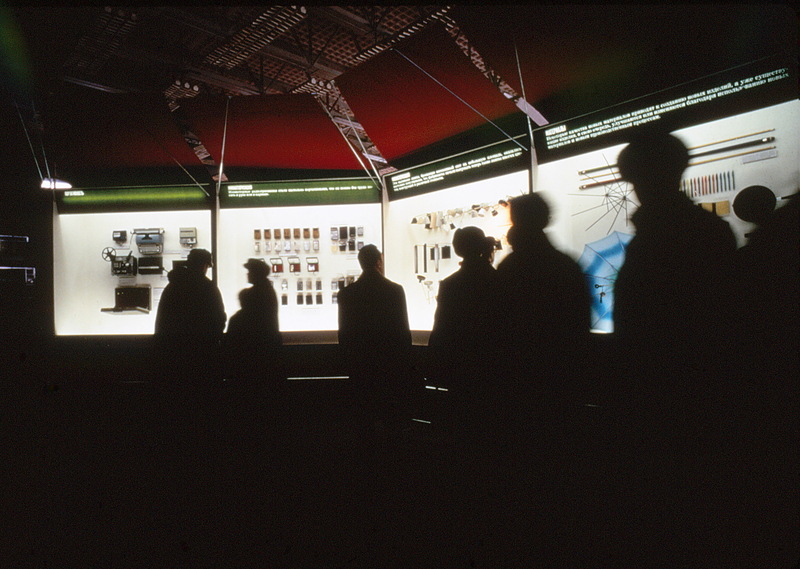 The exhibit toured a number of cities including Moscow, Kiev and Leningrad. 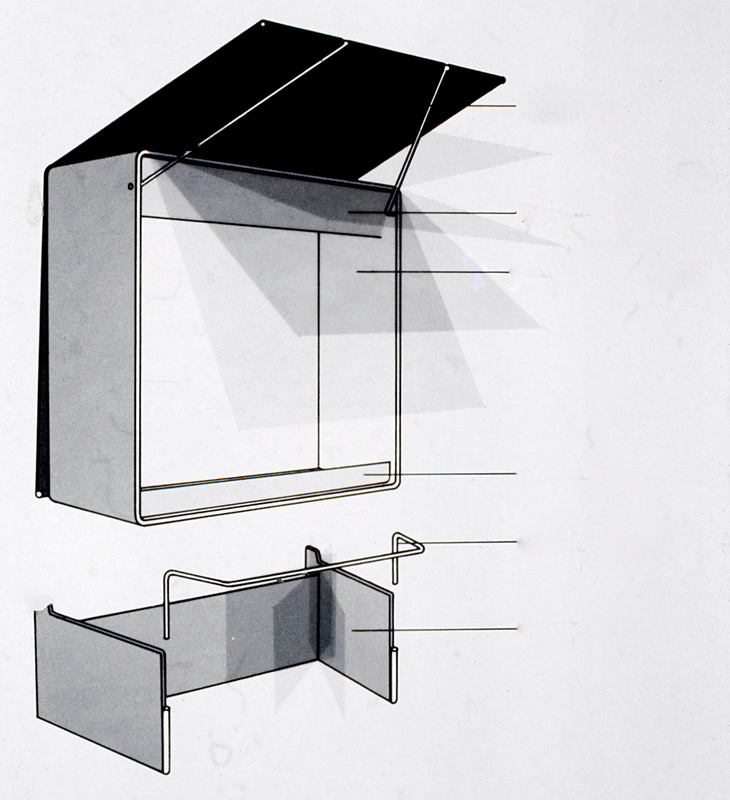 Articulated canopies allowed display units maximum flexibility in layouts within varying spaces. 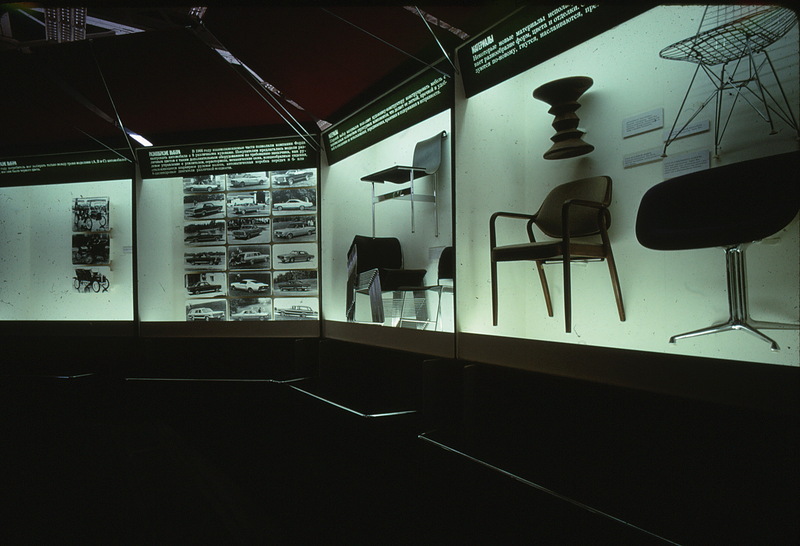 In many cases exhibits were designed and fabricated before spaces had been identified by the Soviets. 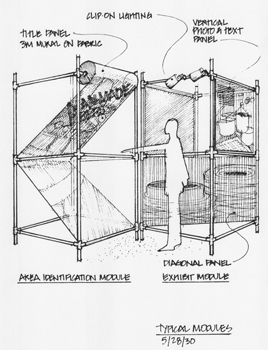 All traveling exhibits developed for the USIA required maximum flexibility. 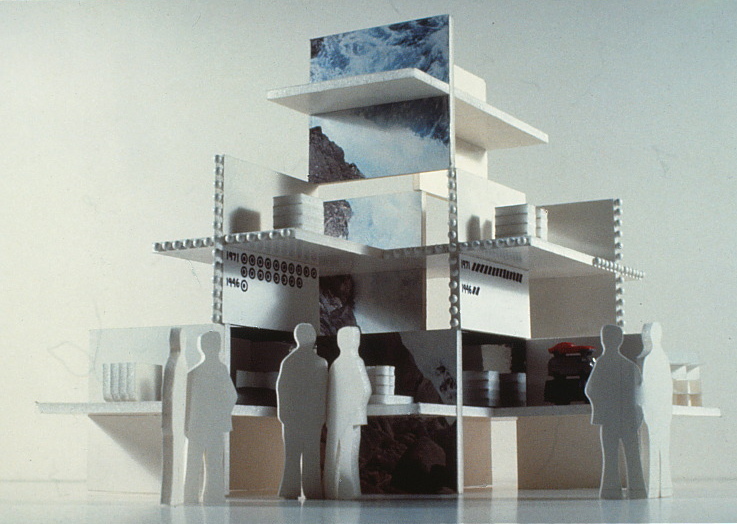 Scale models are used to fit the exhibit in a particular space once that information is known. 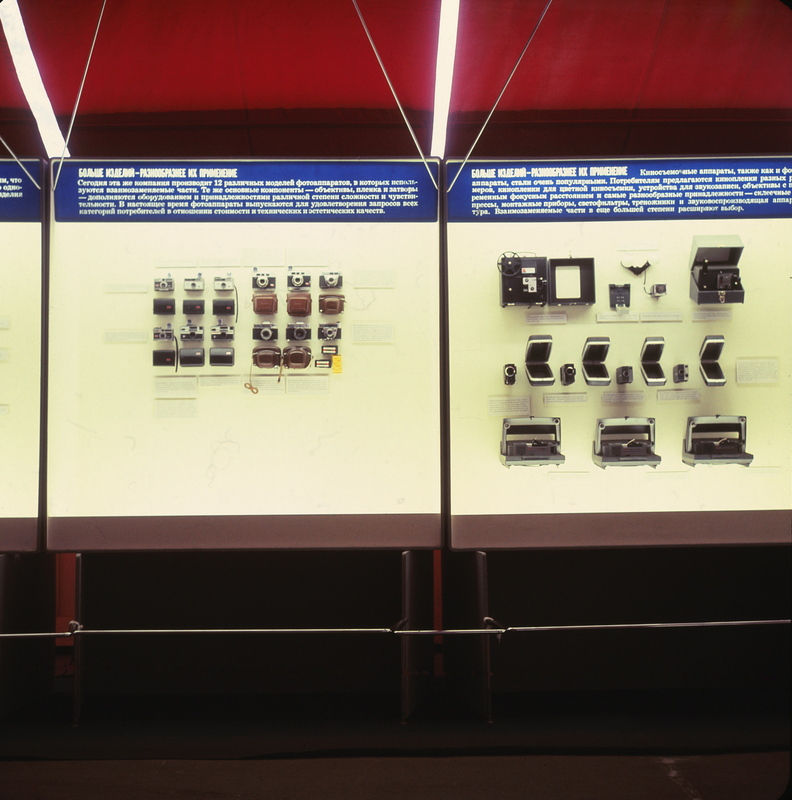 At total of 50 different exhibit modules allowed editing of the show for various audiences. Each self contained module focused on a particular message pertaining to style, variety, technology, innovation, choice, disposability, portability, development, etc. 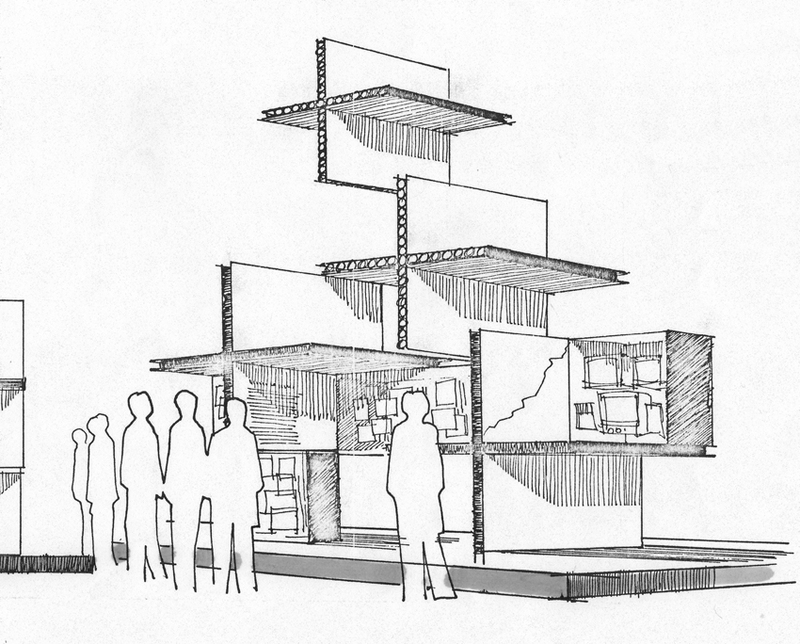 Designed in the US, fabricated in Milan and outfitted in Vienna the exhibit was developed over a 4 month time span. 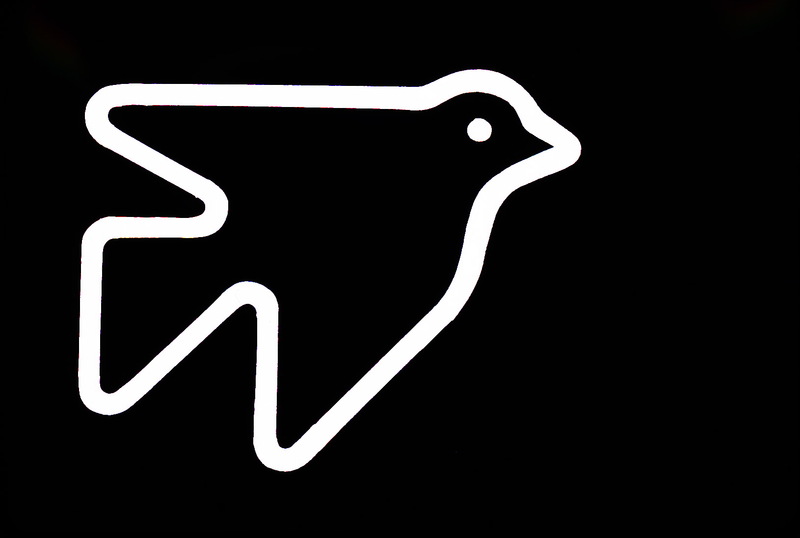 Responsibility for a 68 page INDUSTRIAL DESIGN / USA brochure covering all aspects of design in the US. Sections covered top designers, design education, design offices -both corporate and individual, design evolution, disposable designs, styling, obsolescence and the new technologies. 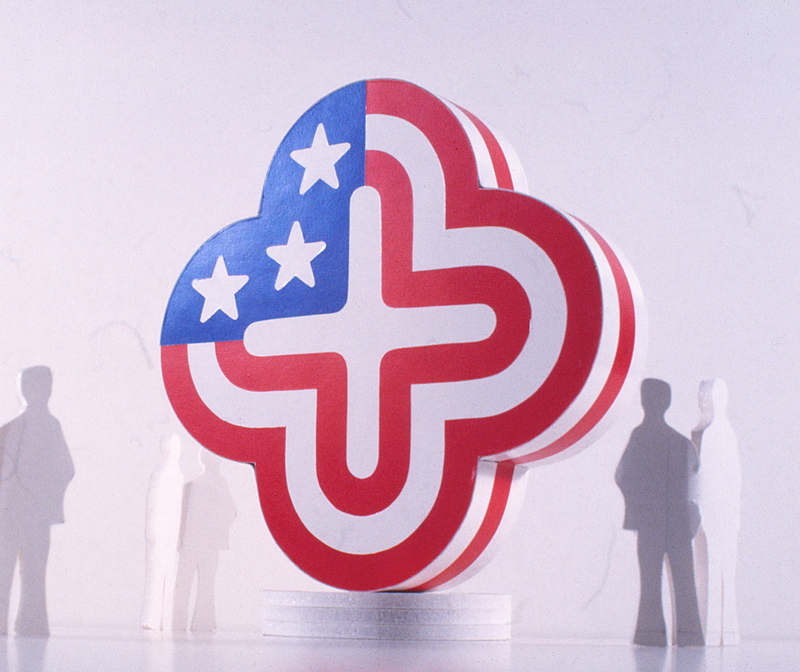 It highlighted the varied field of design in the US. On-site distribution of brochures and buttons proved to be popular with the audience and quickly became collectors items. 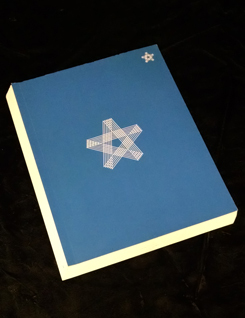 All 15,000 brochures and 5,000 buttons were gone in the first few days of the 10 day exhibition.